Welcome to Reidenouer Insurance Service where our focus is on helping our clients through a highly effective Prescription Assistance Drug Progam, life insurance, Medicare Supplement, Medicare Advantage and Part D Prescription Drug Plans. Reidenouer is committed to providing you with highly personalized service. Paul Reidenouer, agency founder, is a life-long resident of Western New York, who understands the needs of his clients in New York. 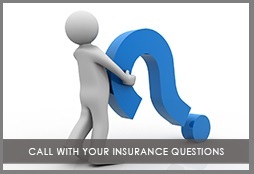 With more than 12 years experience in the insurance industry he understands how complex insurance can be. Additionally, he an Aurthorized to Offer agent for AARP Medicare Supplement Plan. Paul is licensed in in New York, Pennsylvania and Florida. Paul Reidenouer looks forward to the possibility of serving you.